Schiltz sanctioned Butler $50,000 on March 29 for what the judge described as repeated frivolous lawsuits, brazen delay tactics and judge-shopping, apparently, according to the judge, for the actual purpose of collecting fees from clients who are thereby given time to live in their houses without making payments. A large sanction is necessary to deter Butler from pursuing this illegitimate business model, Schiltz said. “The amount of this sanction is based on a number of factors, including the extraordinarily egregious and brazen nature of Butler’s conduct; the extraordinary burden that he has imposed on the Court and on the opposing parties; the fact that he has not been deterred by warnings or motions for sanctions either in this case or in other pending cases; the fact that he was not deterred by this Court’s show-cause order from filing an almost entirely frivolous remand motion in violation of the local rules and then ambushing his opponents in the course of briefing that motion; and the harm that he has done to his own clients, both by exploiting them financially and by obscuring (and possibly causing them to lose) any legitimate claims they may have had,” Schiltz wrote. Butler and his attorneys could not be reached for comment. The instant case involved 20 plaintiffs against nine financial institutions, including Mortgage Electronic Registration Systems, Inc. and the Burnsville law firm of Shapiro & Zielke, which represents mortgagees. The case concerns the common practice of securitizing mortgages by having them held by and recorded in the name of a nominal mortgagee such as MERS rather than the holder of the promissory note. This allows the mortgages to be repeatedly sold without each sale being recorded on the title. The plaintiffs argued that if the entity that holds their mortgage, usually MERS, is not the entity that holds the promissory note, the mortgage and/or the foreclosure of the mortgage is invalid. The argument is frivolous, Schiltz said, having been rejected by the Minnesota Supreme Court, the Eighth U.S. Circuit Court of Appeals, and every federal judge in Minnesota who has addressed the argument. “All of these courts have held –clearly, repeatedly, and recently—that, under Minnesota law, the entity that holds the mortgage can foreclose on the mortgage even if that entity does not also hold the note,” Schiultz wrote. The Minnesota Supreme Court said in 2009 in Jackson v. Mortgage Electronic Registration Systems Inc. that a party can hold legal title to the security instrument without holding an interest in the promissory note, Schiltz wrote. Butler’s argument that Jackson should be read narrowly to hold only that a transfer of a note does not need to be recorded on the title of the property pledged as security for the note has been flatly rejected, the judge said. Although some “show-me-the-note” suits are brought by pro se homeowners, Butler has made a “cottage industry” of frivolous actions, Schiltz said. This case is one of nearly 30 that his law firm, Butler Liberty Law, has filed. Schiltz said that Butler assembles a group of plaintiffs, “gins up” claims against multiple defendants, packages them into a single state-court action, and fraudulently joins a single nondiverse defendant, typically a law firm, in an attempt to block removal to federal court. Schiltz said Butler also dismisses and re-files cases in an attempt to forum shop or judge shop. Butler then gives the new case a different caption by reordering or substituting a plaintiff, the judge said. Referring to Butler’s “cottage industry,” Schiltz said the sanction were prompted by more than just this case. Lawyers for the financial institutions and Shapiro and Zielke could not be reached for comment. In a brief, lawyers for the firm and the other defense lawyers argued that sanctions may be ordered under Rule 11, 28 U.S.C. sec.1927, and the court’s inherent powers. They argue that Butler’s arguments are neither warranted under existing law or a good-faith, non-frivolous effort to change existing law. “He simply refuses to respect the court rulings against him,” the brief said. Minnesota is owned by the banks, that is clear. Anything the banks do is legal, including using fraud and forgery to manufacture assignments and indorsements. Yes, indorsements with an “i”. 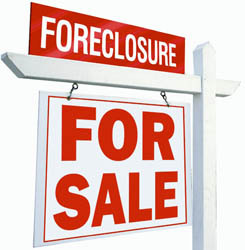 I suppose in Minnesota that all foreclosures are totally legal and all the paperwork is original and correct. Judges pledge an oath. Do you know who to? The Constitution of the United States. One of our tenants is the right to due process. When the banks use forgery and fraud how is that due process? U.S. District Court Judge Patrick Schiltz who funds your pension fund? Does your pension fund contain bank stock? I bet you it does! No conflict of interest here folks….move along! Why is it OK for banks to use every tool they can find to foreclose yet when it comes to defending foreclosure Minnesota sides with the banks when the defense tries something they don’t agree with? Why should mortgages be recorded with your county recorder? Your state doesn’t need the money MERS cheats you out of, right? I am positive no Bank Attorney has been sanctioned for introducing fraud and forgery in a foreclosure case. Wonder why? I am sure you can figure out why! Banks own the courts in Minnesota,eh? I do not know this lawyer or what he may have done or not done. If he has done what the Court seems to believe he did it is not appropriate. I will comment I believe lawyers who represent homeowners are in general being held to a higher standard than the lawyers for the banks. I personally have been denied discovery of key documents or grants of sanctions where it has been admitted the bank withheld key documents prior to a deposition which I had to travel to Orange County for. The list of questionable behaviors by banks and possibly their counsel is a long one. The banks seem as immune in these situation as they have been from possible criminal liability. with what appears to be impunity. See, In Re Kemp 440 B.R 624 (2010) Where is was reasonably clear the bank cooked up an \allonge\ for trial. what you don’t know is that the law firm that is repersenting the banks wells fargo is Faegre Baker Daniel formlly know as faegre and benson a law firm judge schiltz used to be are might still be a partner. butler a small time minnesota lawyer is up against a law firm that has 100s of employees and millions of dollars in gross income and mers which has been quiet until now. The Bill Butler I know is a straight, honest, hard working attorney and based on what I know of him, your comments seem to be on target. The law is not equal for everyone as long as the people across from us have more money and connections. I am no attorney but it seems to me that you are, and if you cannot do a thing to bring this to the attention of the general public and the media, situations like this one will repeat themselves. This time it was Bill Butler, next time it may happen to one of you. If you, who are the experts in the field, cannot do a thing to change the system, what hopes do we, the “civilians” have? I have known Bill and his family for many years. I refuse to believe what the article says about him, and it is painful to see a decent man and attorney been the target of such a stiff sanction for defending his clients. Actually, debt collection and foreclosure lawyers are being scrutinized more closely than ever because of the robo-signing scandal. This has nothing to do with that or forgery or anything else. A member of the bar is not allowed to file vexatious, frivolous lawsuits. This question of whether or not MERS can hold the mortgage but not the note has been answered several times by many different courts. It’s okay to argue that case law should be changed, but to ignore it repeatedly for the sole purpose of driving up litigation costs is not acceptable. Butler had to be warned several times before Judge Schiltz’s sanction. If you borrow money, pay it back. Then you can avoid foreclosure. I don’t understand how people who borrow money and use their home as collateral can blame the banks when they want payment or the home. That is baffling.